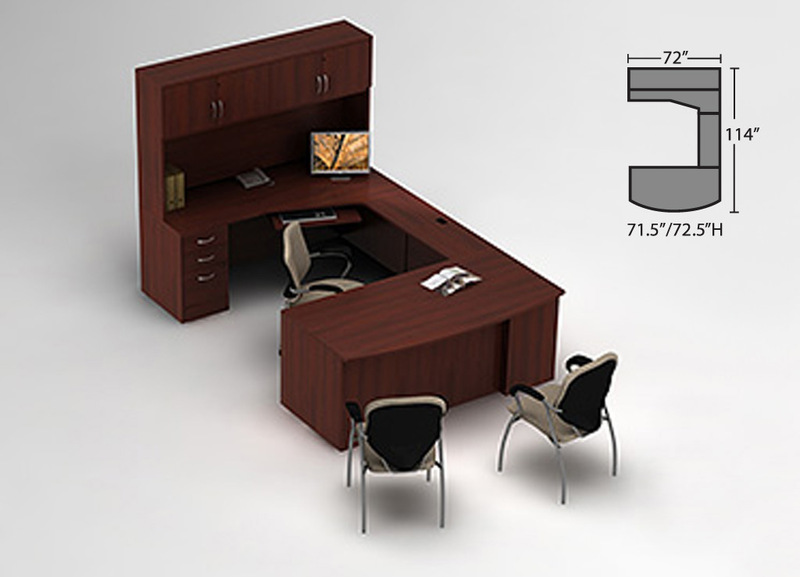 Not all desk furniture is created equal. 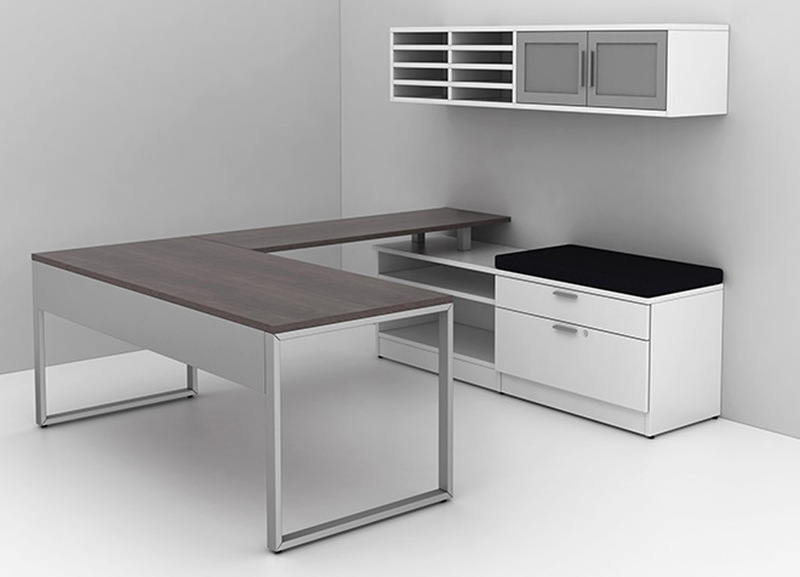 A smart contemporary office desk defines your workspace without limitation. 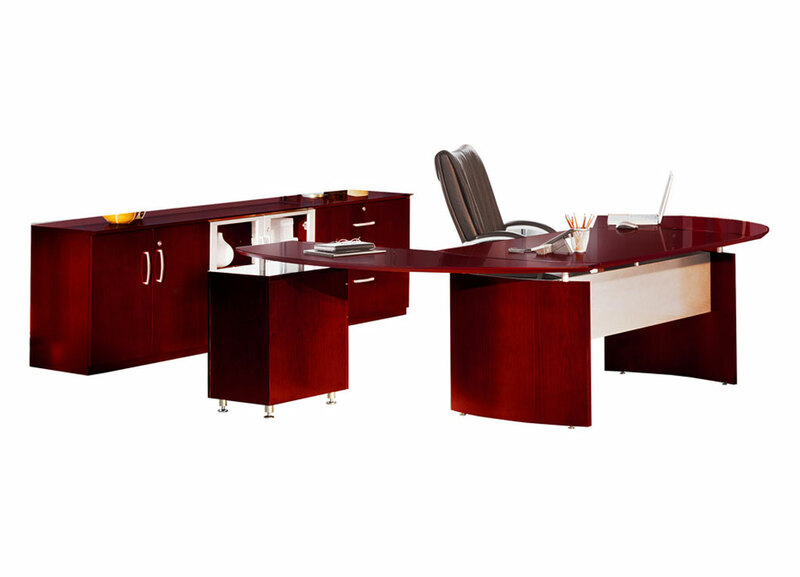 Double Dutch Desks for a Dynamic Duo. 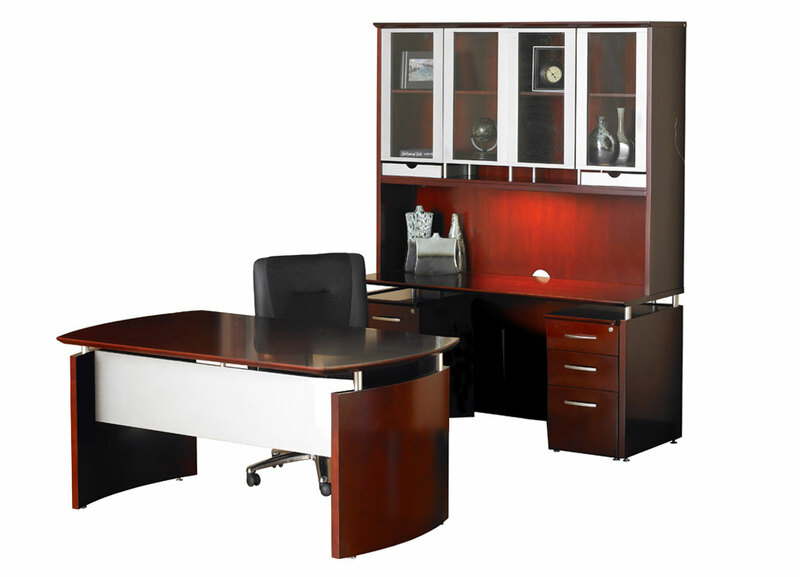 Happiness is a warm office desk. 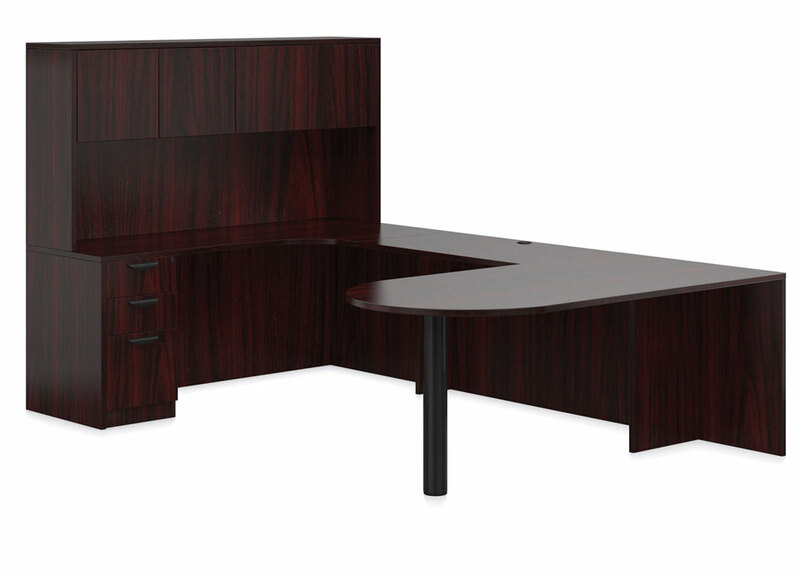 Have your cake & eat it too with surprisingly affordable office furniture. 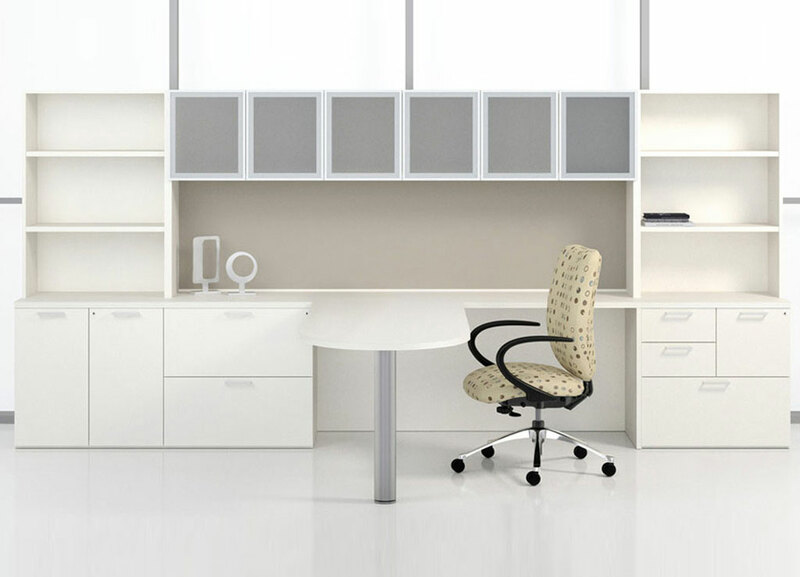 Be the office that everyone else on the floor is talking about. 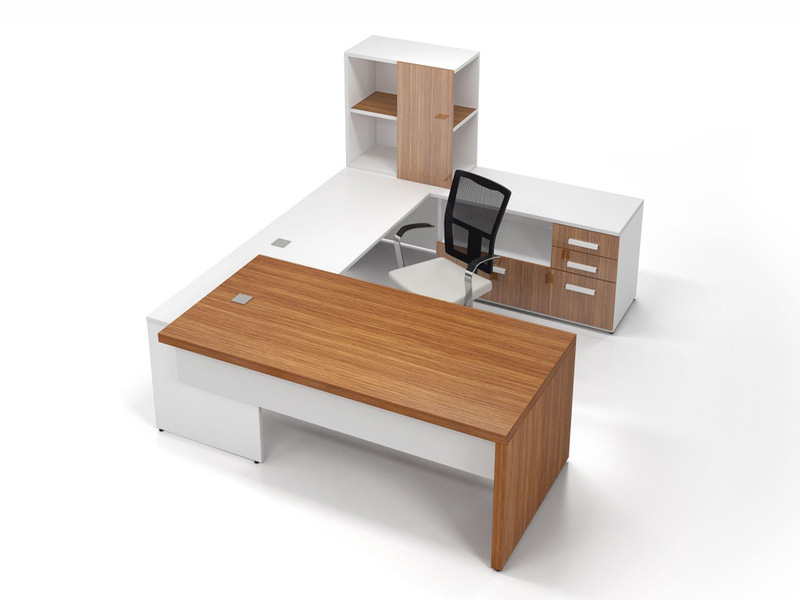 White office desks with a hint of wood grain make a clean, cool statement. 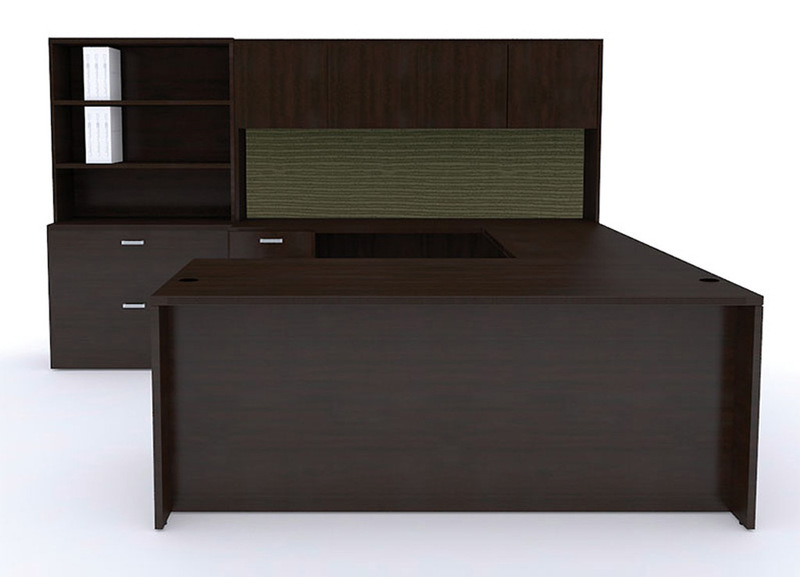 When it comes to modern corporate office desks, less is more. 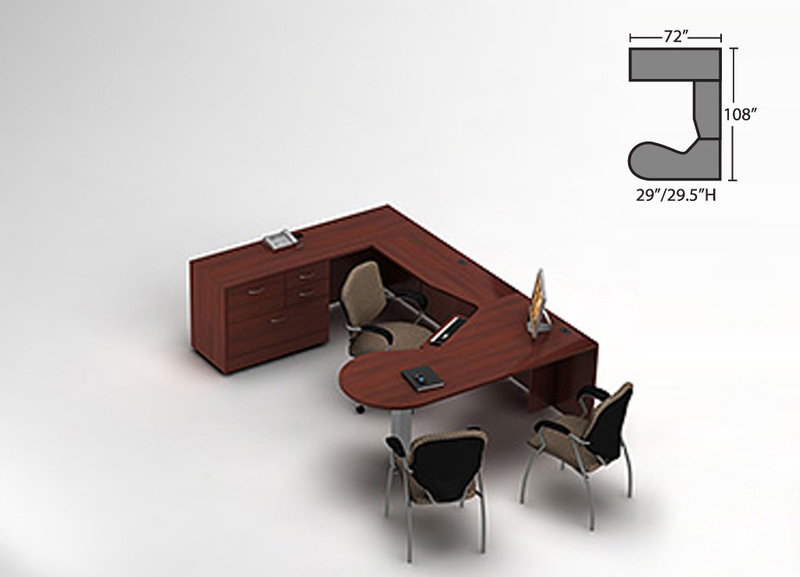 Global office furniture desks have spent years perfecting the art of work. 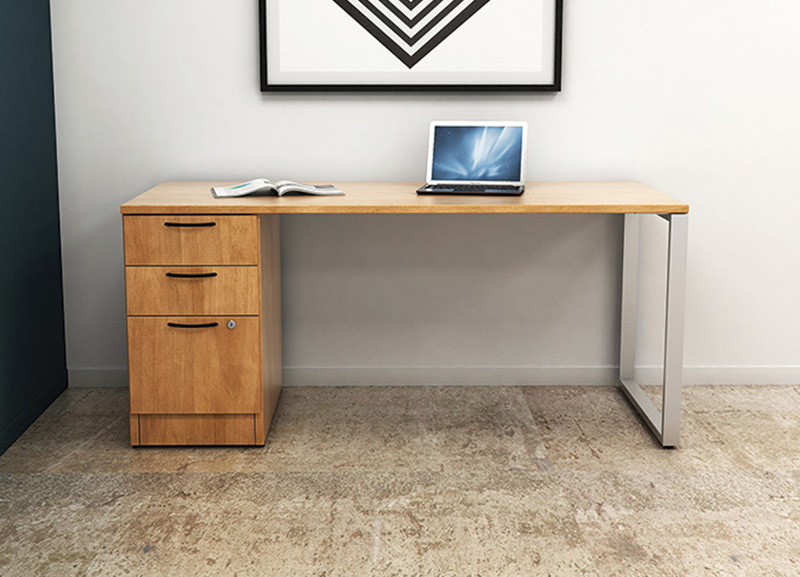 When it comes to a smart contemporary office desk, the key is style. 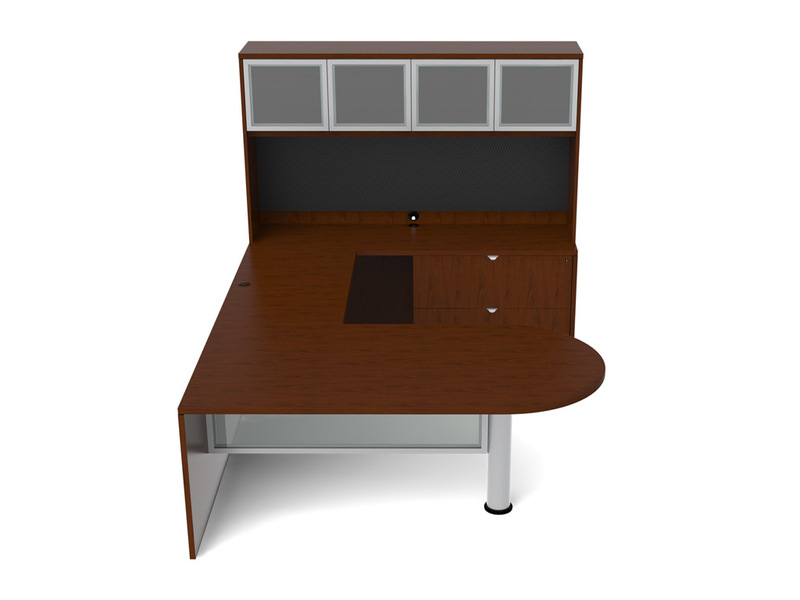 Need a custom office furniture desk? Yes, we can do that. 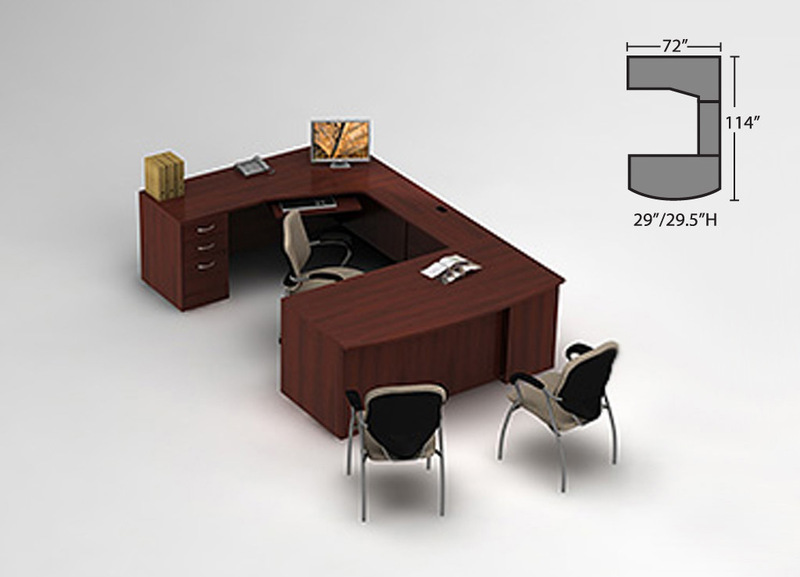 All desk furniture is not created equal in the commercial office furniture world. 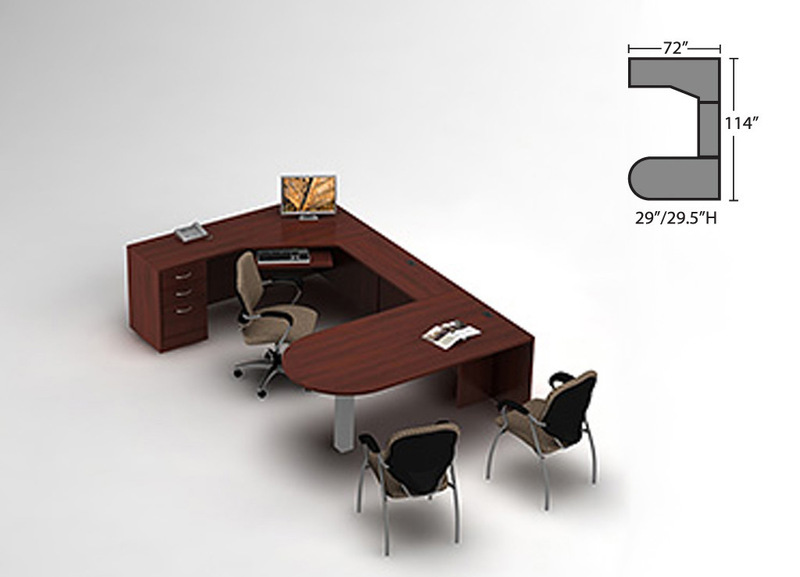 Office Furniture Desks - you sit behind them for at least a third of your day, often longer. 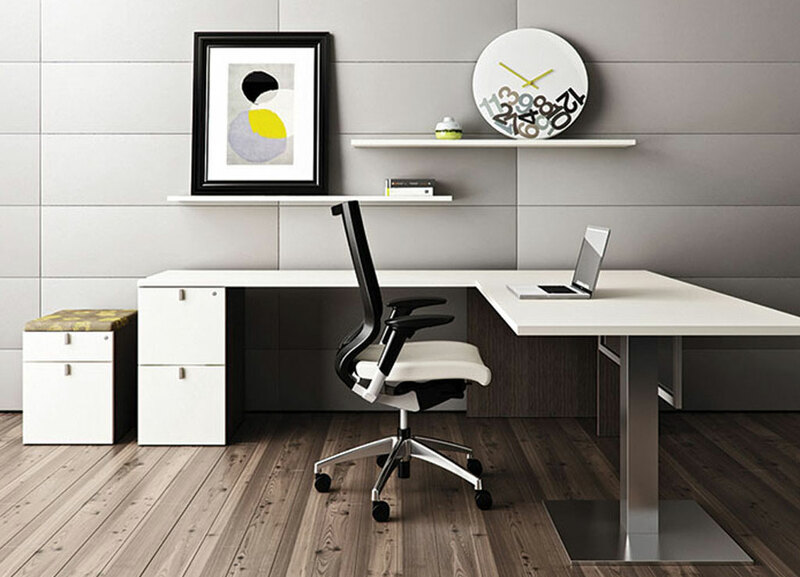 It’s where you need to feel productive, where you conduct important phone calls, write important letters, have your lunch, and research what makes your world go round. 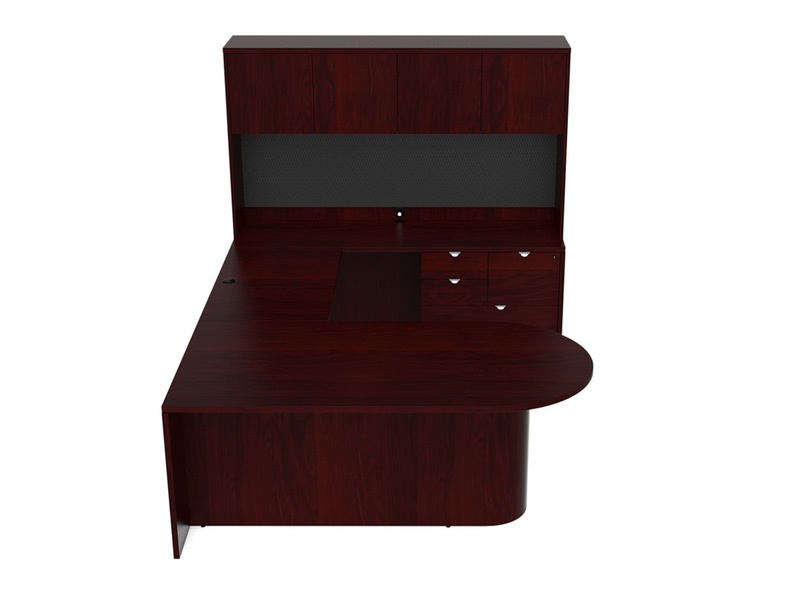 So what kind of furniture desk is your perfect match? 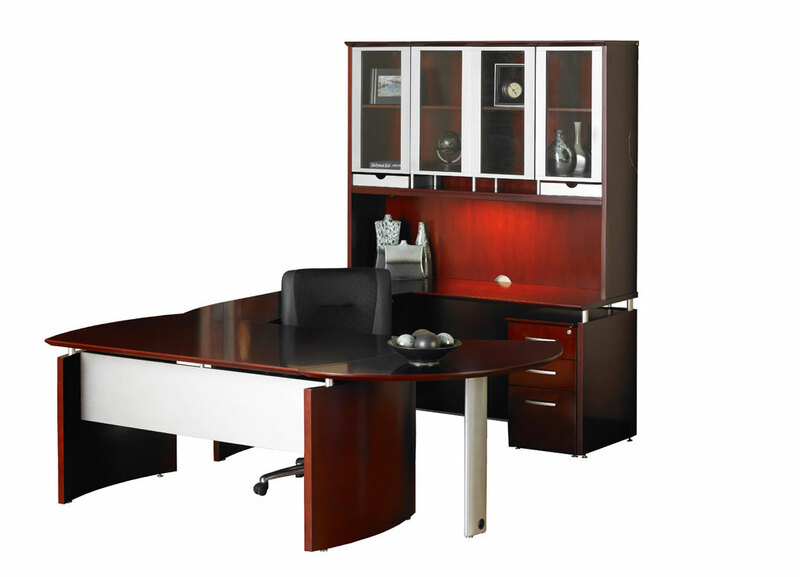 BEFORE YOU BUY OFFICE DESK FURNITURE: KNOW YOUR OPTIONS! 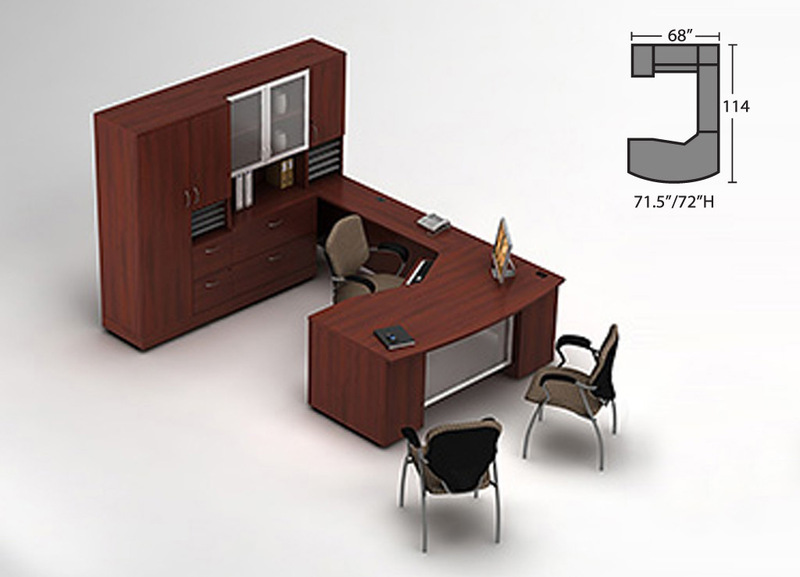 Wood Veneer $$-$$$: A thin piece of real/natural wood affixed to a wood composite material. 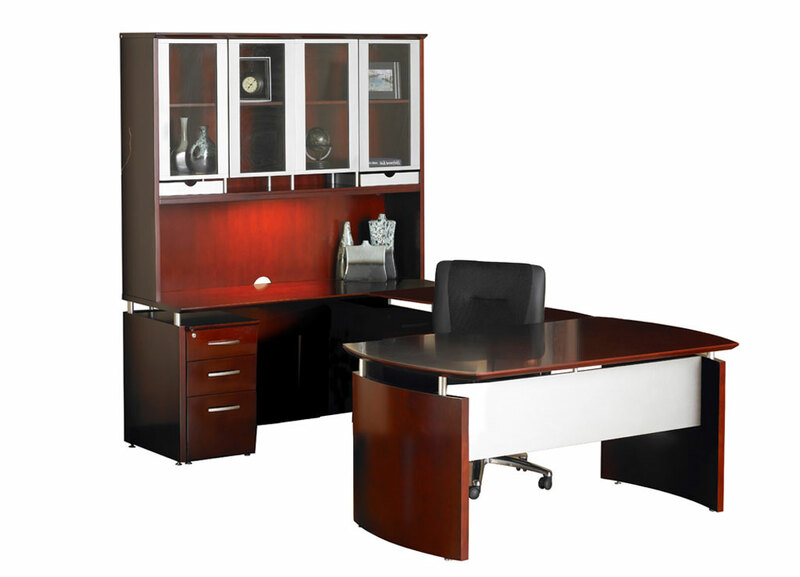 A real wood office desk communicates the ultimate in richness and status. 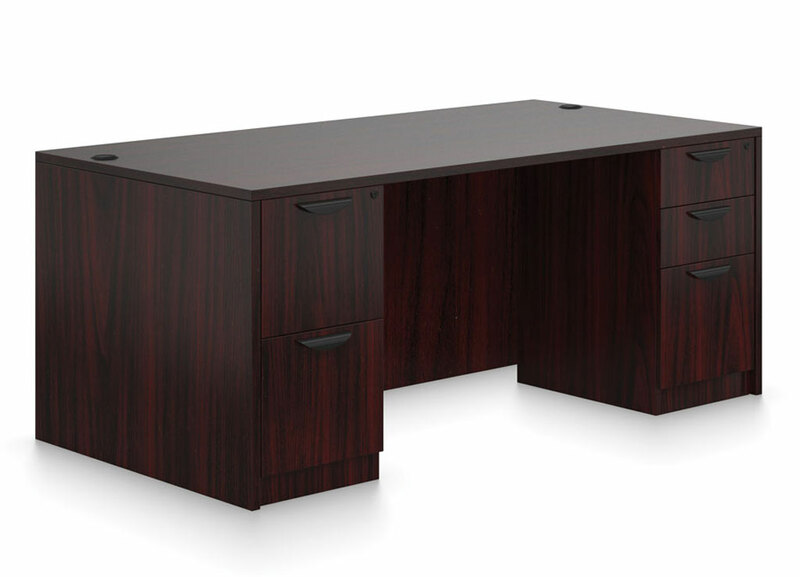 Virtually everyone can appreciate the natural beauty of real wood office furniture. 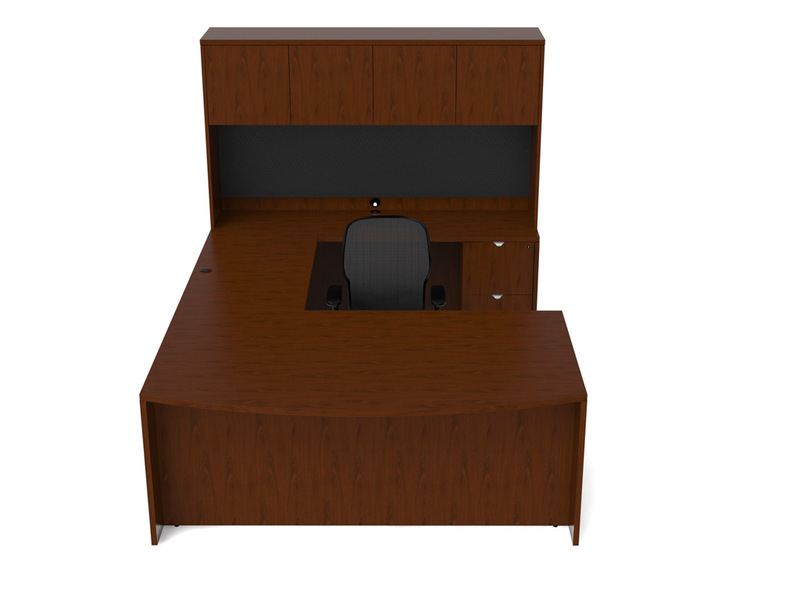 Please keep in mind, veneer surfaces are delicate. Nicks and scratches will result if not handled with care. Laminate $-$$: A thin piece of man-made plastic made to resemble real/natural wood affixed to a wood fiber composite material. 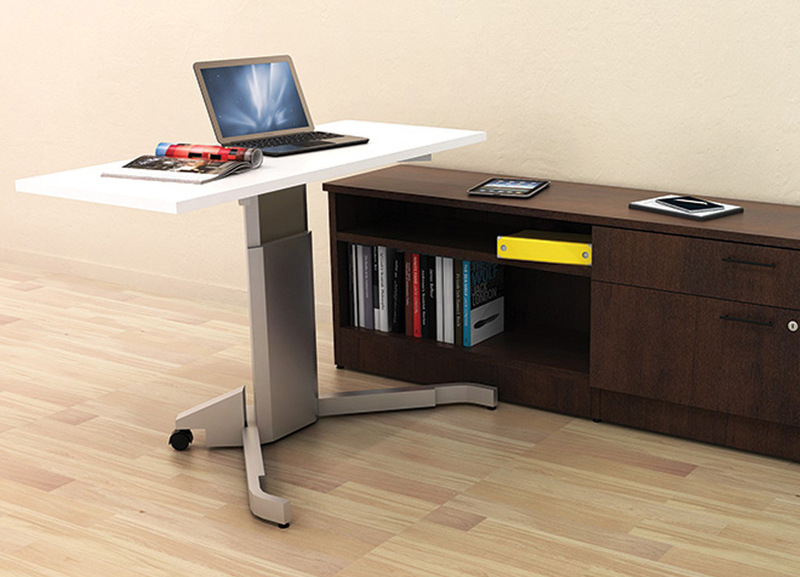 Laminate is very resistant to scratches, water stains, and heat. 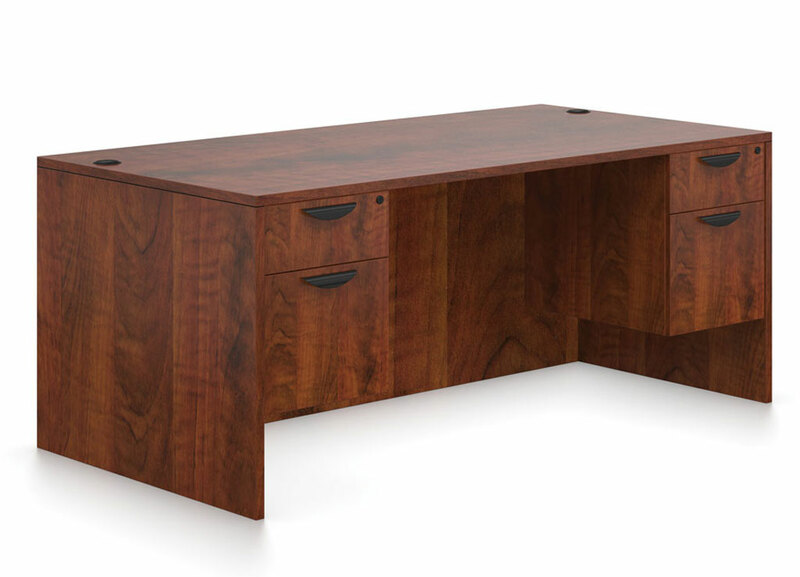 The print quality of laminate often makes it indistinguishable to the untrained eye, and is a much smarter option when shopping for affordable office furniture desks on a budget. 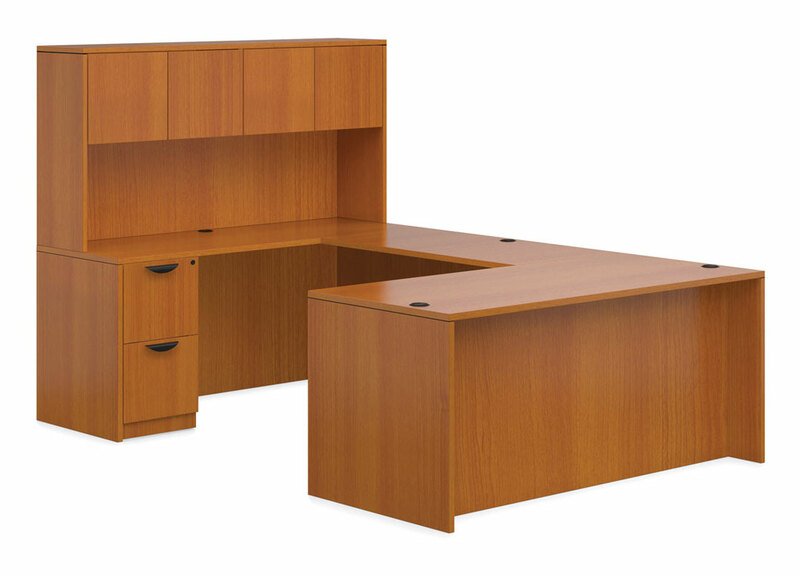 Other $-$$$: Additional popular office furniture finishes to consider include glass computer desks or metal office furniture desks. 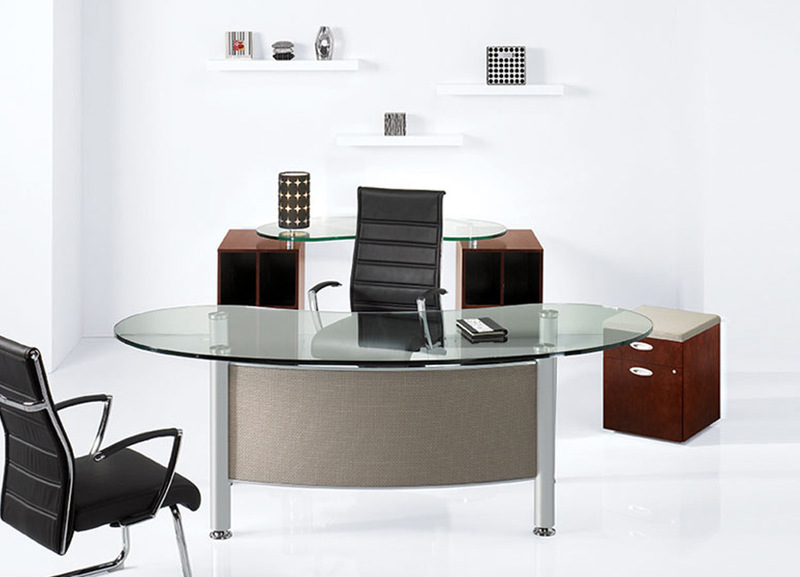 The contemporary office desk comes in so many shapes and sizes! 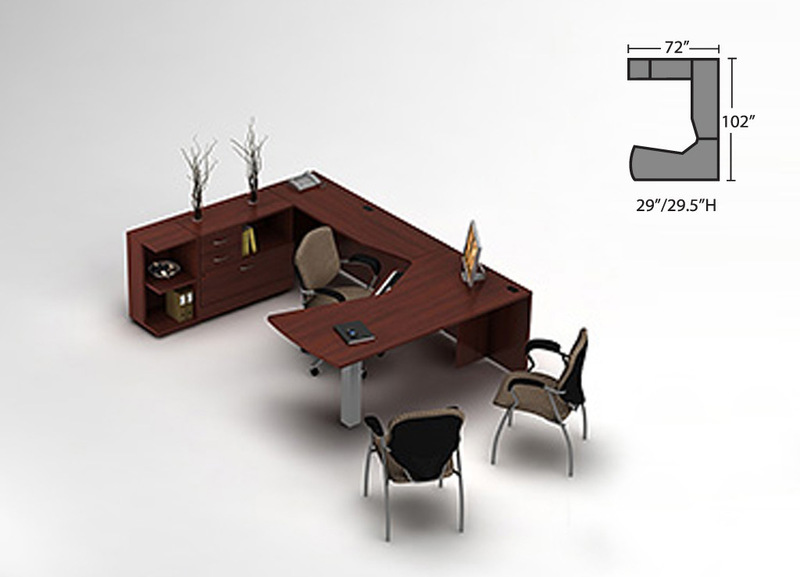 Configurations: A single straight pedestal desk, L desks, and U shaped desks or a U shaped desk with hutch are the most common layouts. 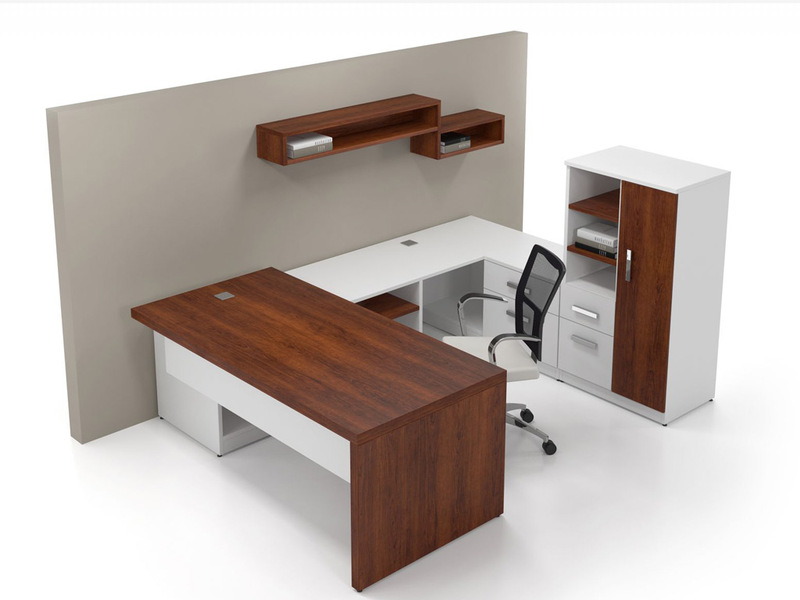 Then add supplementary pieces like lateral files and bookshelves. 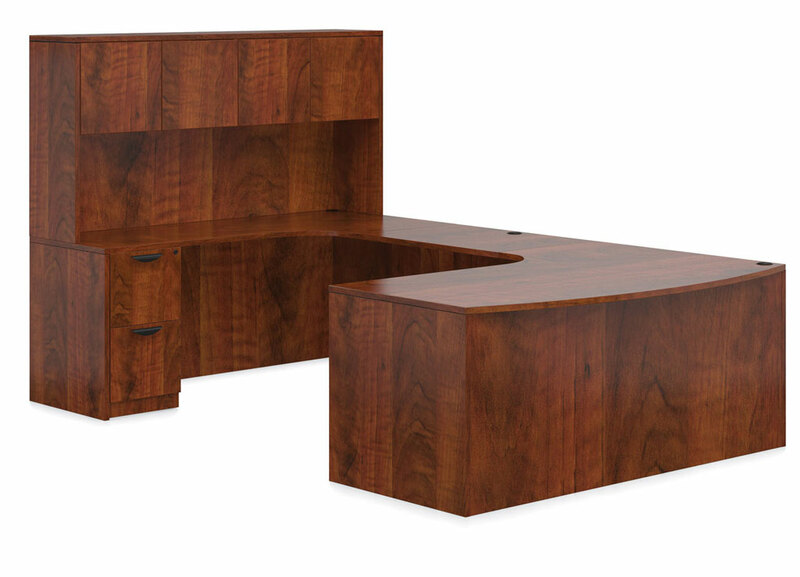 Desktop shape: Straight front or Bow-Front desks are more traditional, but you may also consider Peninsula tops to create a more open and collaborative feel for a modern office desk. 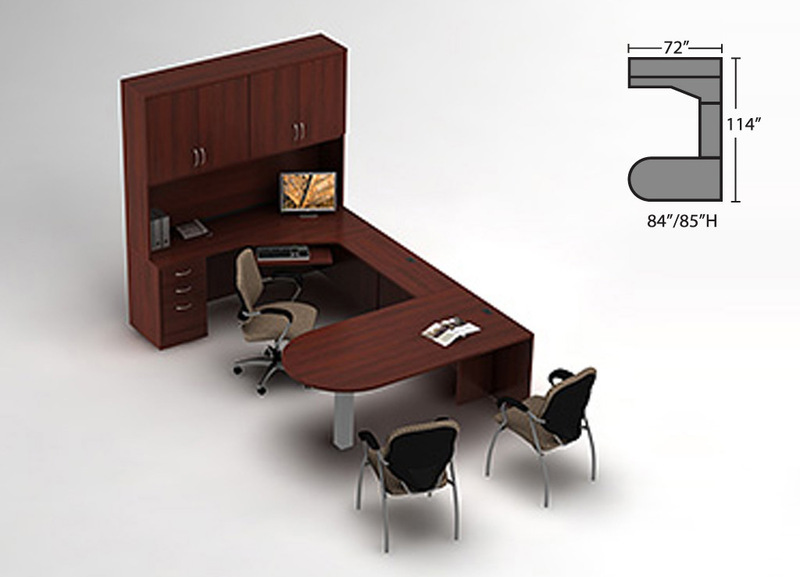 Sizes: Most product lines offer a range of sizes from small office desks to large desks, in order to adapt to the square footage of your office. 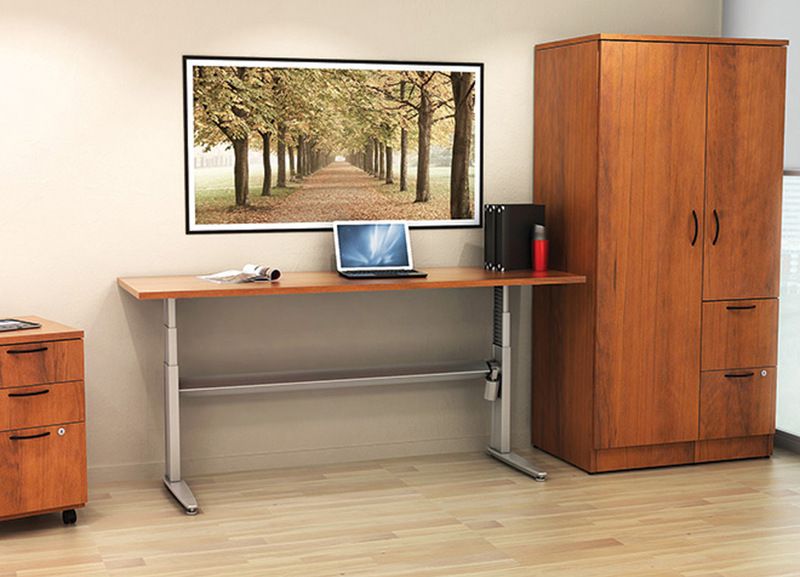 Storage: There are always plenty of storage options you can add to your desk, based on your needs. 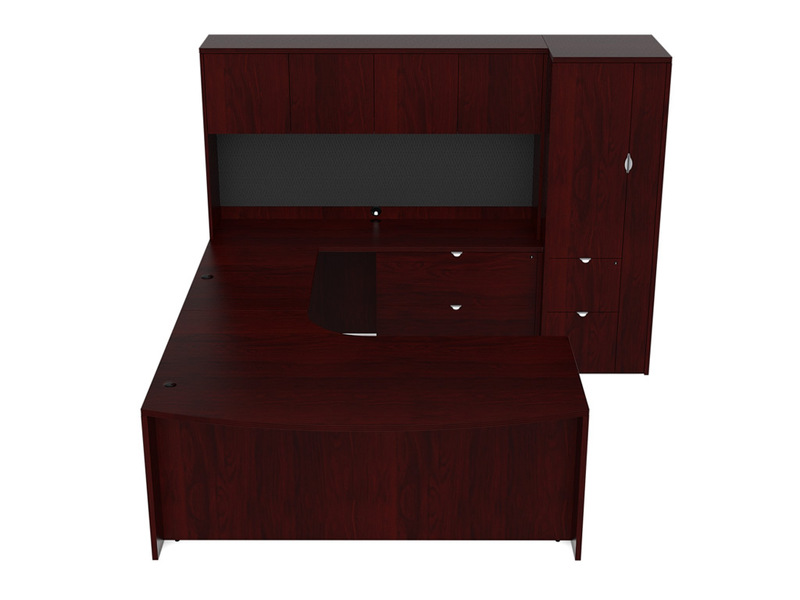 This can include drawers, cabinets, shelves, closets, etc. 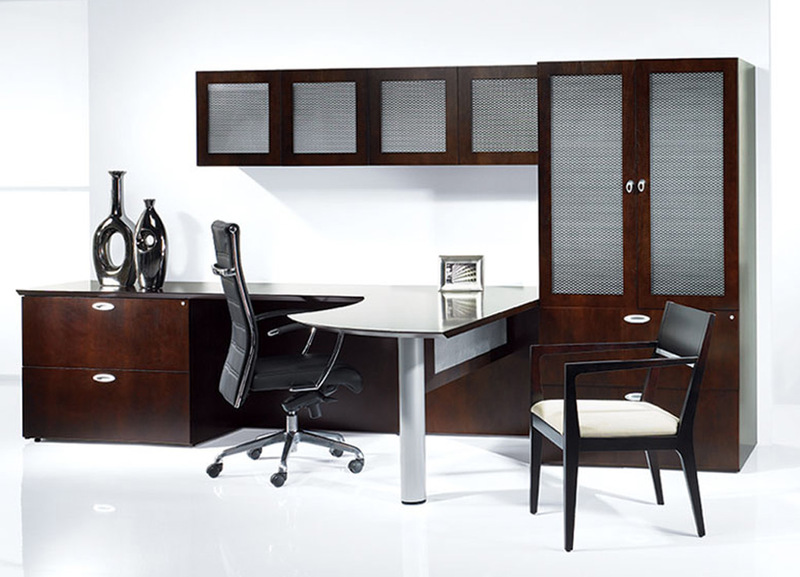 Style: It’s the details about your office desk that truly speaks volumes. 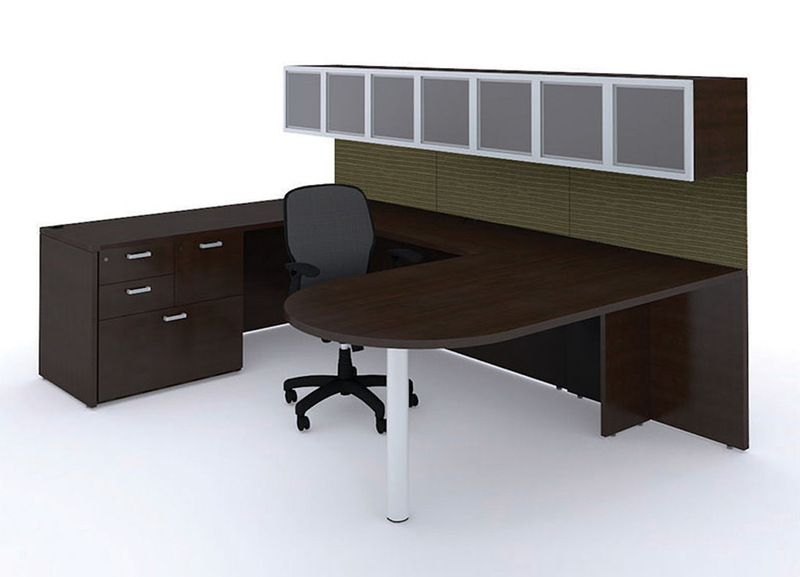 Many lines offer a great deal of personalization options including: Finish, drawer handles, post-legs, desktop edge style, and glass accent options for modesty panels and storage doors. 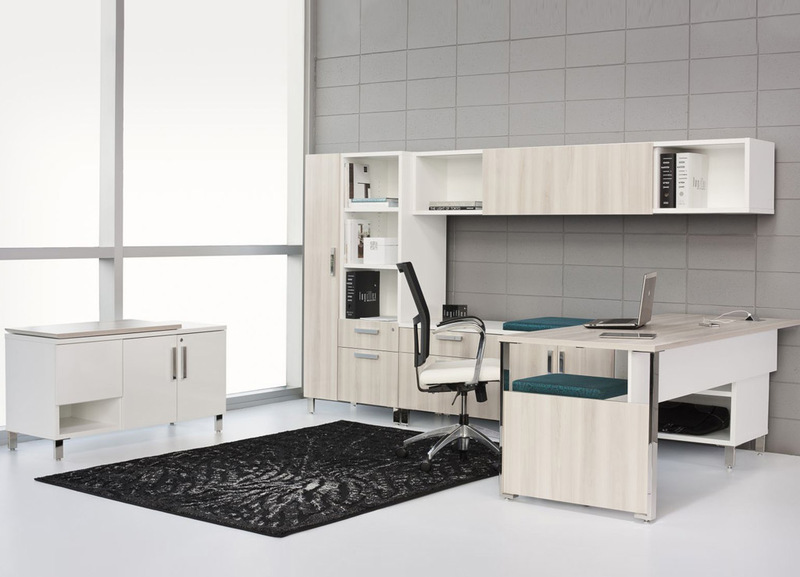 If you’re looking to furnish an entire floor rather than just one room, keep in mind that many brands have full office furniture collections that include private offices, conference tables, and reception stations.